Finding love on Facebook? It’s complicated. At least, it used to be. At this year’s F8 developer conference, Mark Zuckerberg took the stage for an announcement many would call long overdue: Facebook is launching a dating feature. The social networking platform is rife with matchmaking potential. According to Zuckerberg, one in three marriages in the U.S. begins online and 200 million Facebook users list themselves as singles. 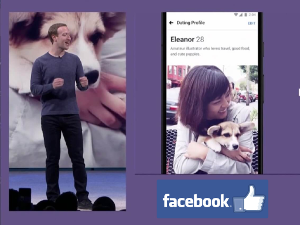 Facebook’s dating feature “is going to be built around long-term relationships, not hook-ups," he insisted, taking subtle aim at competitors like Tinder. 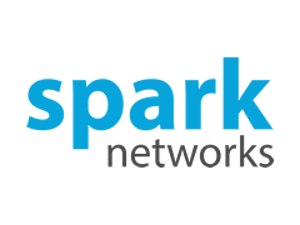 Earlier this month Spark Networks (who recently merged with Affinitas GmbH the owners of Elite Singles) announced the global expansion of Jdate (for Jewish singles) and Christian Mingle. As part of this expansion both of these dating services will be available in more languages. Currently Christian Mingle is available in English, French, German and Spanish. Jdate is available in English, Hebrew and French. As of this month Jdate is now available in German and Spanish as well. In the next few months both of these services will offer local support and languages for both Polish and Russian. For more information you can read the press release. For more about the dating services you can read our Christian Mingle and Jdate reviews. It wasn’t long ago that dating services were seen as the last refuge of the lovelorn and desperate. Today online dating hasn’t merely shed its stigma, it’s a bona fide phenomenon and business appears to be booming. According to a report from IBISWorld, annual revenue in the online dating industry has surpassed $3 billion. Dating services employed over 9,000 people worldwide in 2017 and have collectively seen an annual growth rate of +5.3% over the past five years. Yet hardly a week goes by without someone publishing an article condemning digital dating for butchering our ability to have real relationships, and even major players like Match Group have fallen short of analysts’ expectations. Dating apps happily boast about their sign-up rates or the number of marriages they’ve created, but they’re understandably reluctant to release less flattering figures. How many users actually stick with an app once they’ve created a profile? How many let their account lapse, or delete the app altogether? Which apps are most quickly abandoned? In pursuit of more juicy data, mobile data company Ogury sampled more than six million mobile user profiles from its network to take a deep dive into usage habits around the world. They focused on users in the US, UK, France, Italy, and Spain who had used dating apps within the six months between January and June 2017. To present the most balanced findings, they were were careful to maintain an identical male to female ratio in each region. Ogury’s results reveal a landscape that may surprise online dating’s biggest advocates. One chart in the report shows that dating app longevity leaves something to be desired, with most app uninstalls occuring within the first day of usage. Zoosk users, at 44.1%, are most likely to uninstall in less than 24 hours, followed by Grindr at 33.6% and Tinder at 32.9%. Tick, tick, tick… the countdown to the end of February is almost over, the month with Valentine’s Day. Dating services are still in full swing and are still going strong. Zoosk took the opportunity of the holiday to survey its members about what romance means in 2018. With so many singles now turning to technology to find someone special, dating looks more than a little different than it did in decades past. But are we less romantic as a result? Or is Cupid working his magic just the same as he always has? 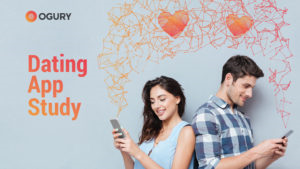 After surveying 9,000 members and reviewing data from 750,000 profiles and 200,000 messages, Zoosk has confidently declared that romance is alive and thriving. The study reveals how modern singles express love, which romantic words will get you matches, and which gifts and gestures are sure bets for impressing dates.